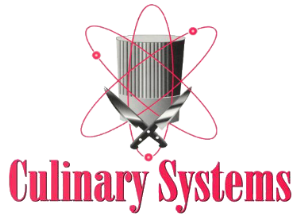 Culinary Systems can design new restaurant concepts from the ground up. Our expertise in all the world’s major cooking styles allows us to customize your concept whether it is fine dining or a chain restaurant prototype. – Casual dining restaurant with a full-service bar. – Food-first concept, developed with a chain in mind, using a speed scratch/component cooking system. – Restaurants will merchandise apparel and other items. – Restaurant concept will be consumer tested. – The environment will focus on fun with entertainment, innovative food and spirits. To facilitate success in the project, background information is needed to have a better understanding of the target and proposed concept. – Client interviews; further interviews with all parties to insure the assumptions are accurate. – Develop, with client, a list of restaurant sites to visit for menu, concept inspiration. – Research any existing history, culture, cook books, etc. – Review any actual, quantitative, qualitative or anecdotal information on consumer needs and desires for the proposed concept, region, etc. – Summary of restaurant visits. – Written food concepts with detailed descriptors explaining each one. – Three to four positioning statements will be written and discussed with client. At this point, we should have a good idea of the restaurant concept and what the menu will look like. We will have tasted all of the proposed menu items in the first round. A second round will take place for product optimization, additions and deletions. At this point, a general manager may be involved. – All training materials, menu matrix, recipes, production and line, photography, costing, specifications, inventory / procurement sheets, server booklets. Most likely, construction will not be completed to the point of having a live line training session early on. A temporary kitchen line set up that will mirror the proposed restaurant line is very helpful to train early on. – Train the kitchen manager and general manager on all recipes, production and line procedures. – During the training process, the team may determine to change selected recipes or modify them. These changes will be worked on, approved by the team and included in the final deliverable. All final materials pertaining to menu and training delivered to client.